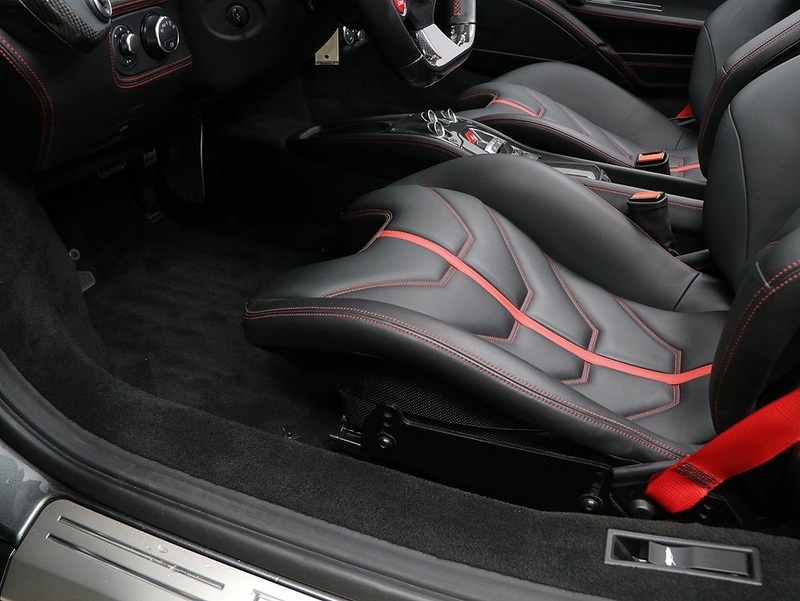 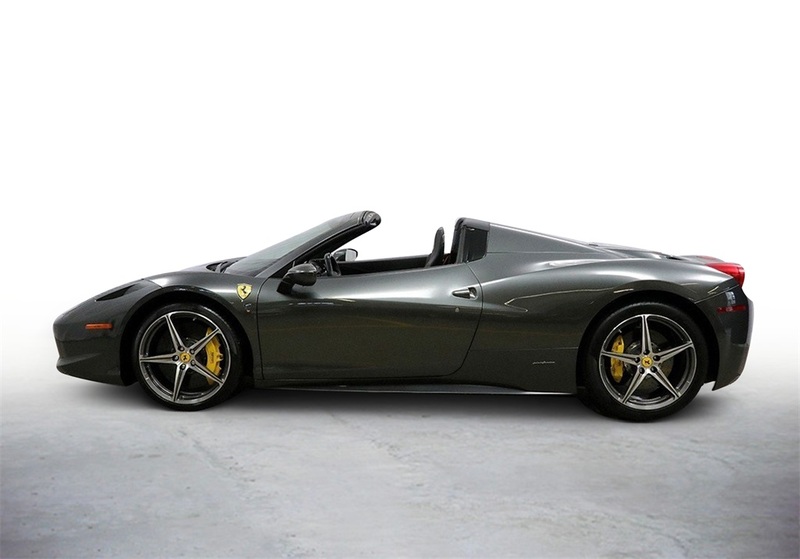 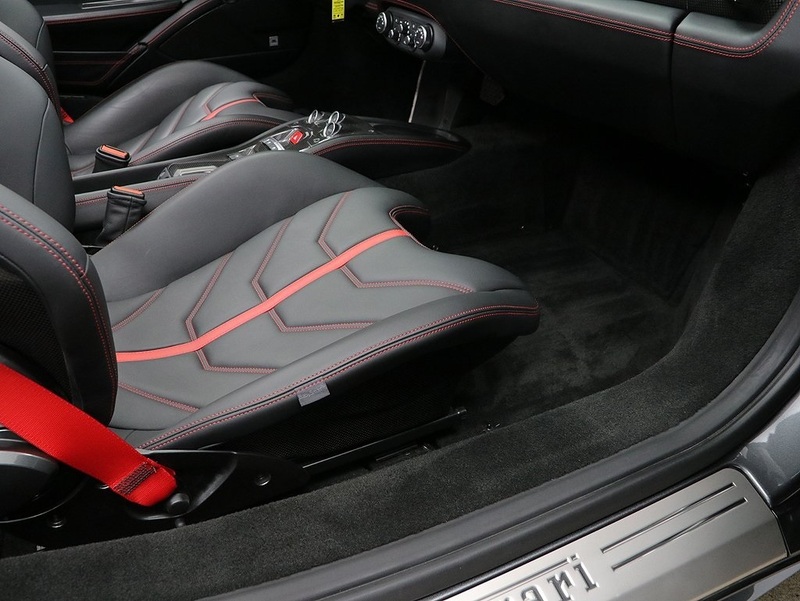 Ferrari Approved 2014 458 Spider in Grigio Silverstone with nero carpets and nero leather. 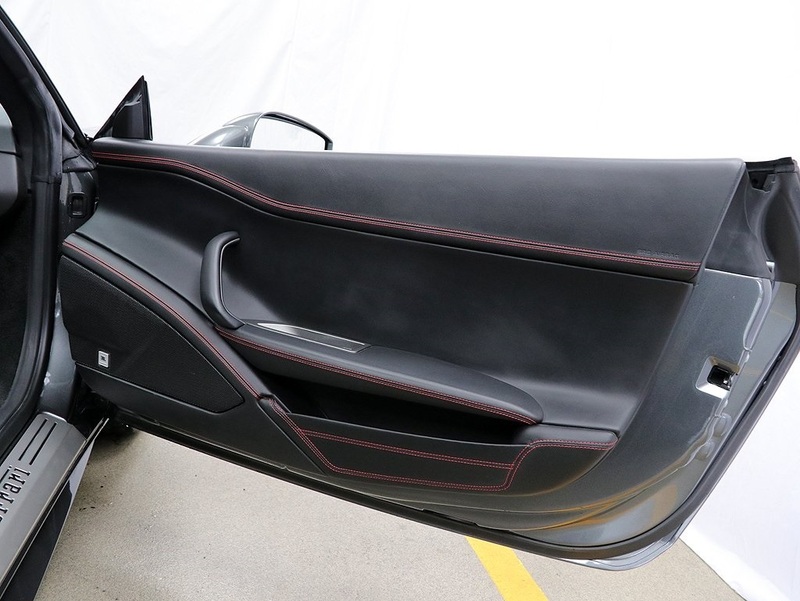 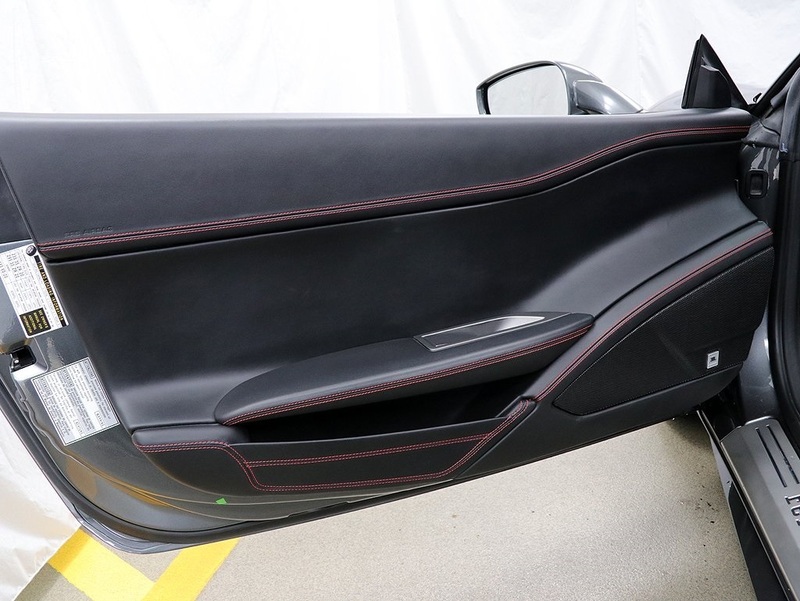 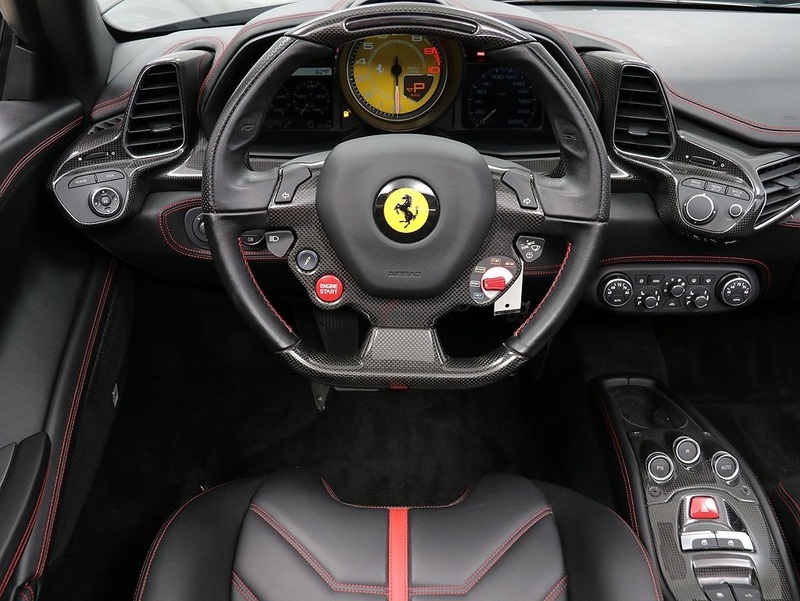 Factory ordered from Continental Ferrari with options including AFS, yellow brake calipers, carbon fiber racing package, rosso colored safety belts, suspension lifter, electric steering column, rosso horse stitched head rests, sport exhaust pipes, iPod connection, Scuderia Ferrari shields, inn/out electrochromatic mirror with homelink, radio navi system with bluetooth, parking camera, front and rear parking sensors, yellow rev counter, large carbon fiber racing seats, 20" forged diamond rims, nero leather headliner, satellite radio, high power HiFi system and rosso colored stitching. 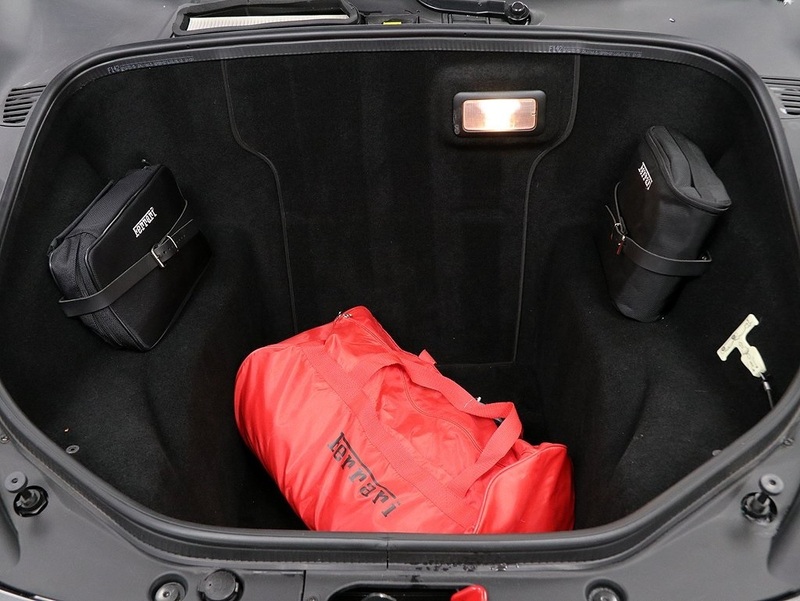 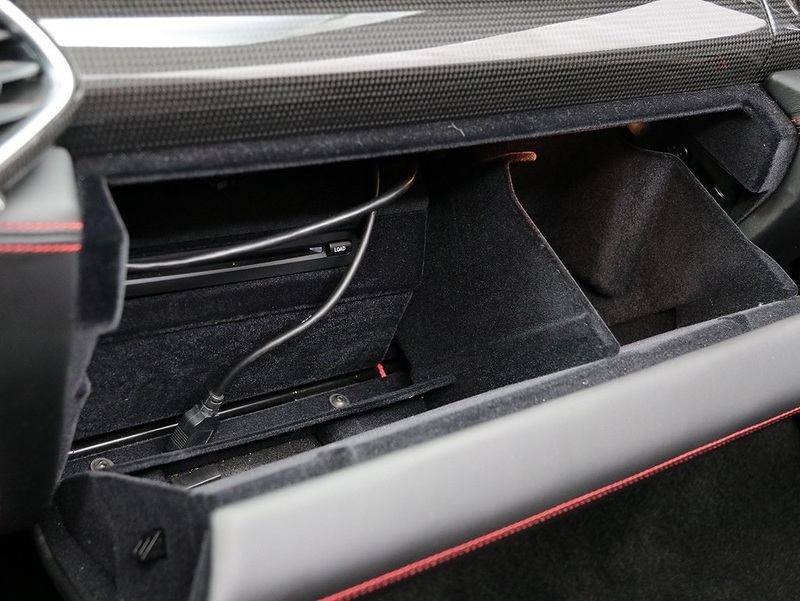 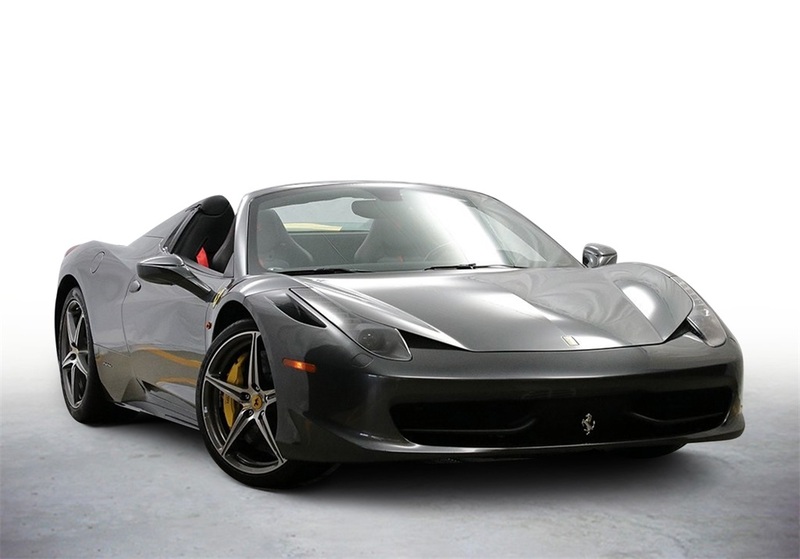 Comes complete with factory owners manuals, two key fobs, car covers and battery tender. 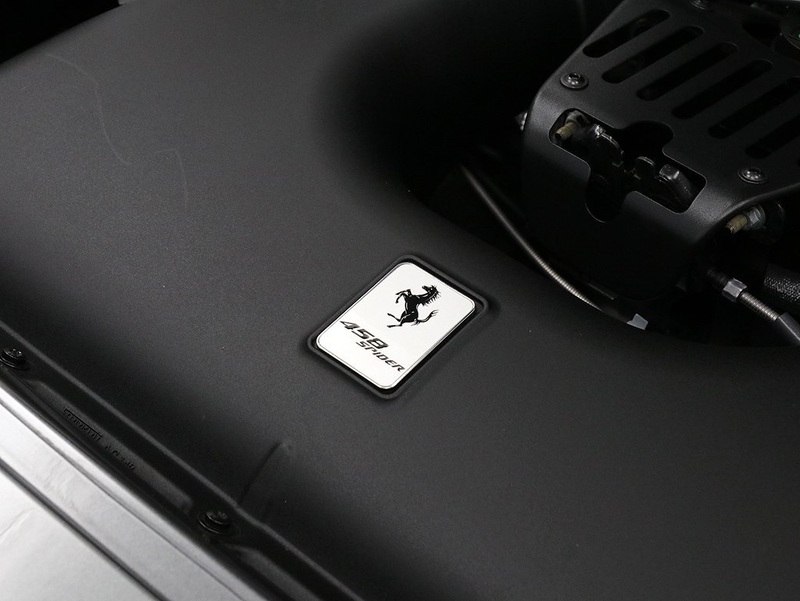 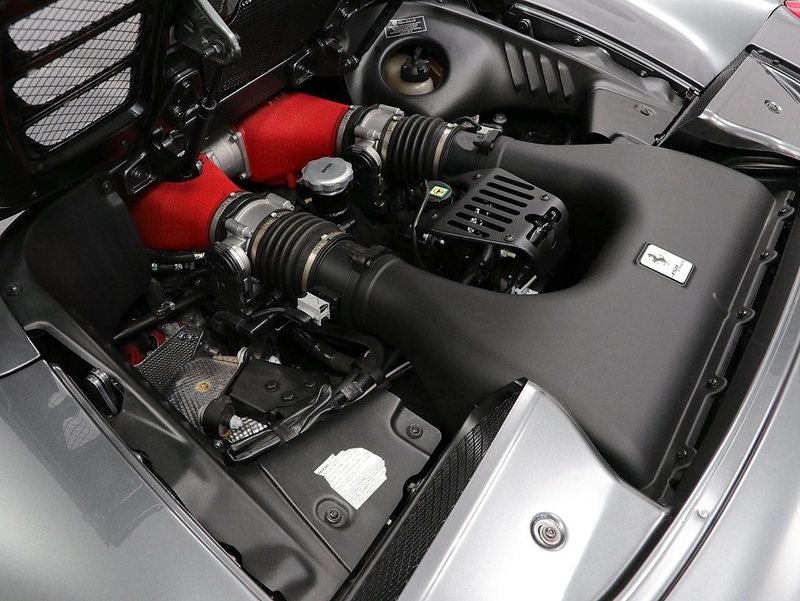 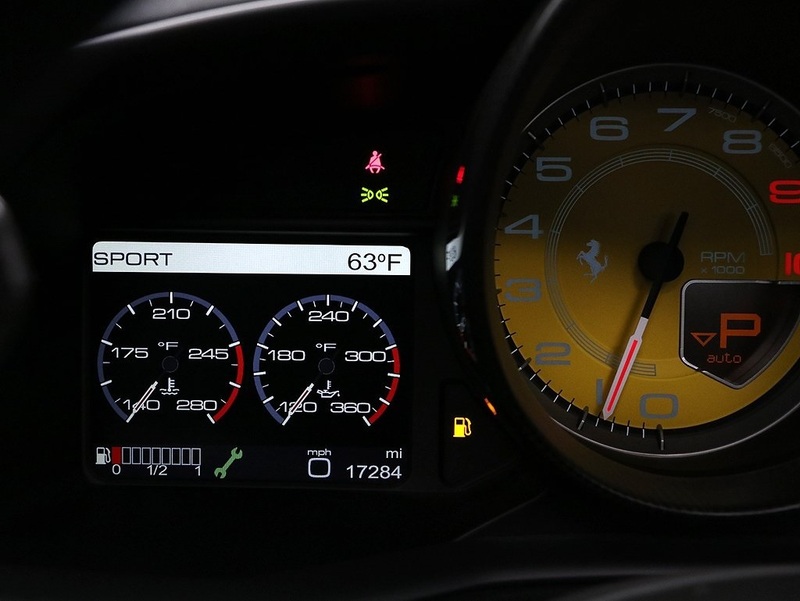 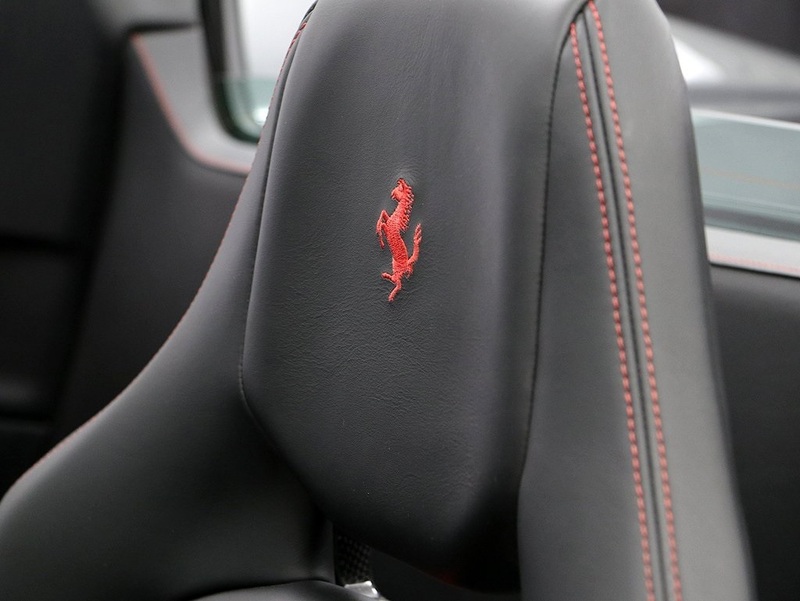 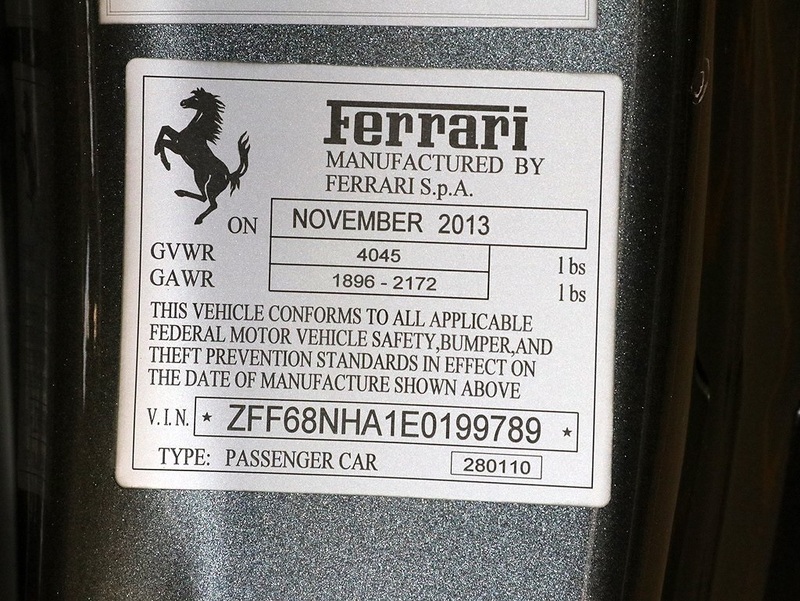 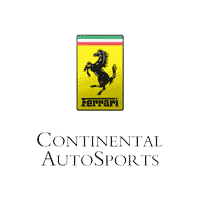 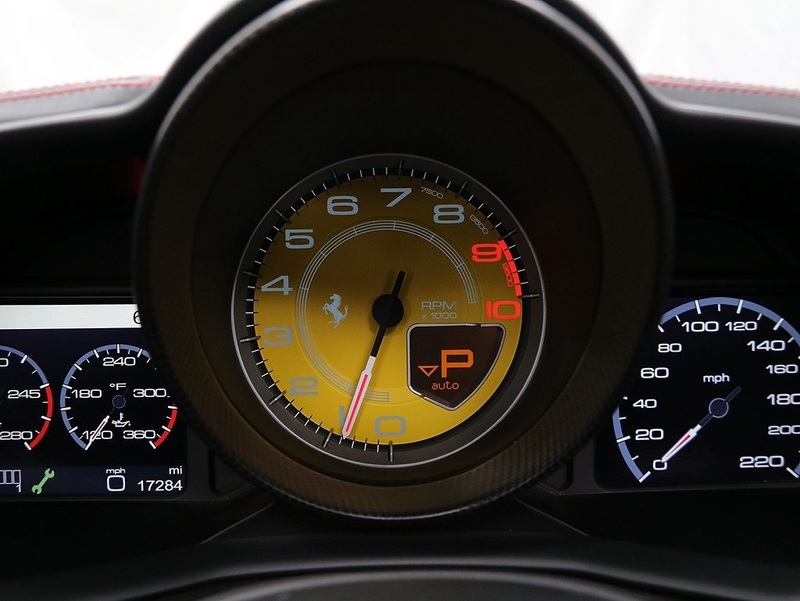 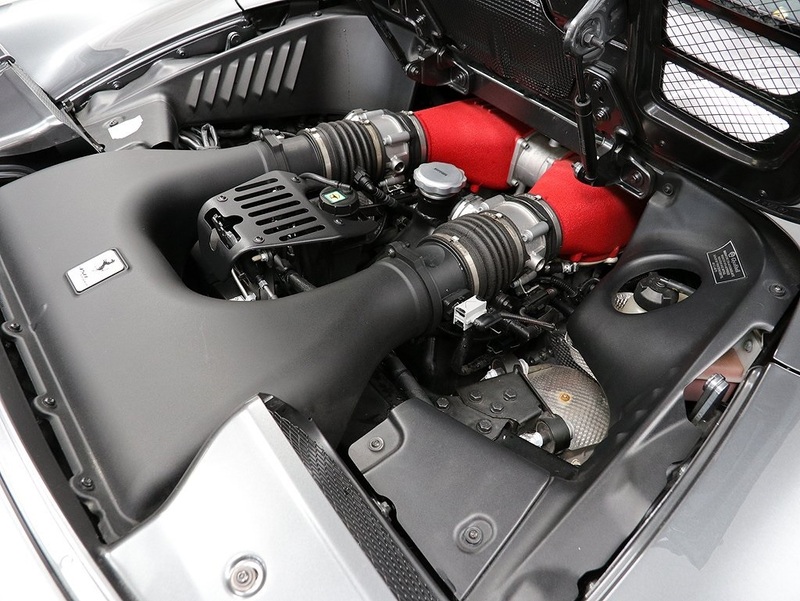 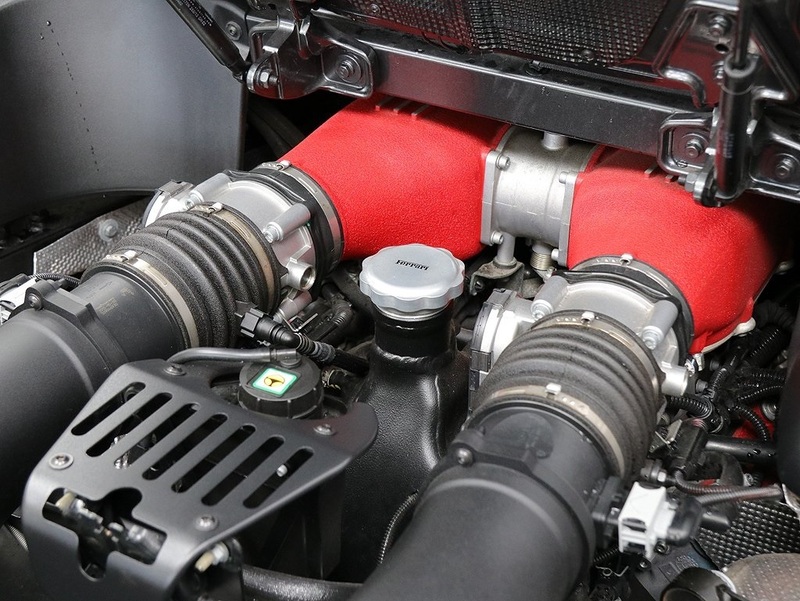 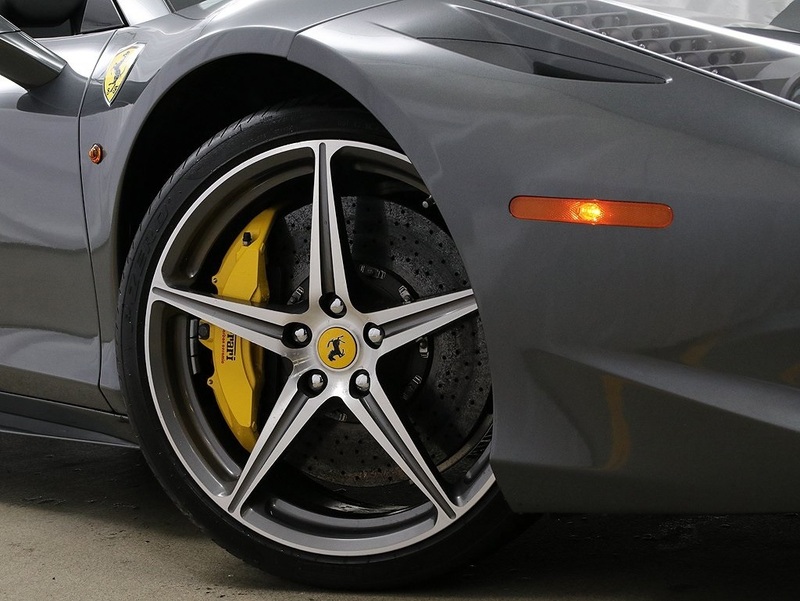 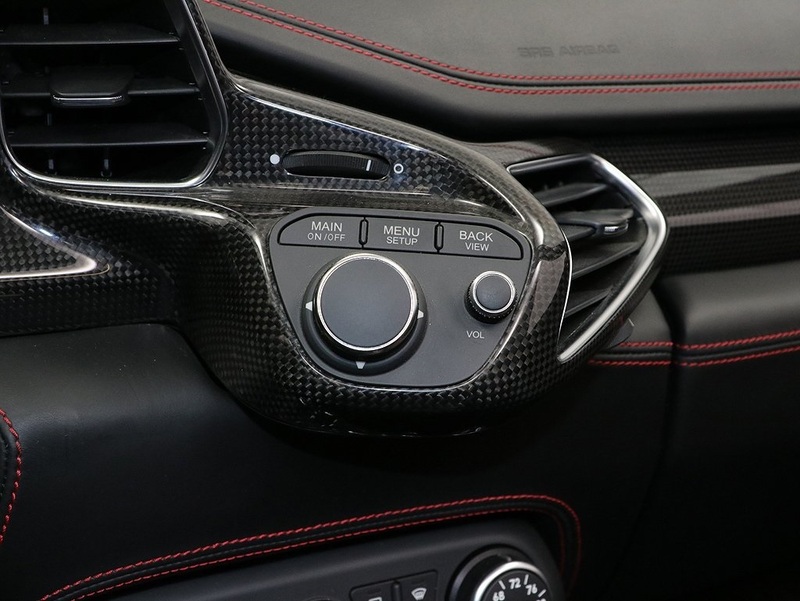 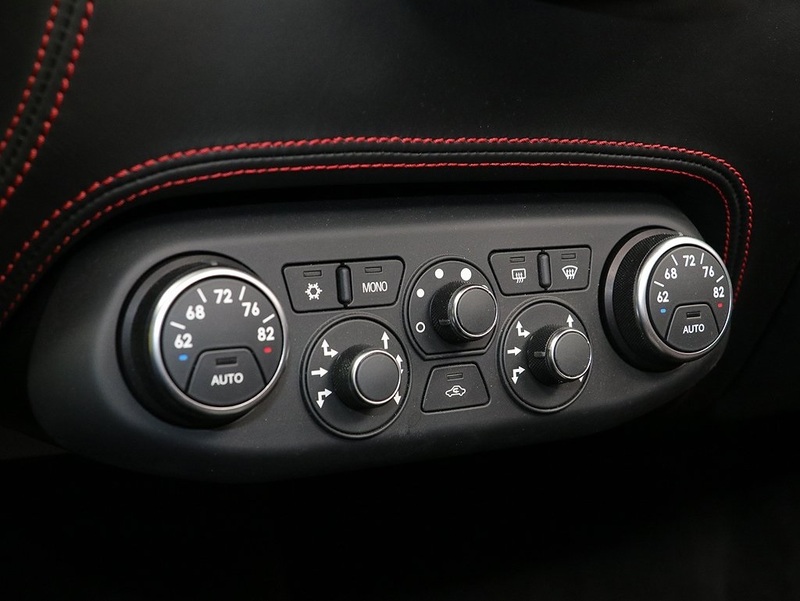 Serviced regularly here at Continental by our factory trained technicians and includes Ferrari Maintenance through January 2021! 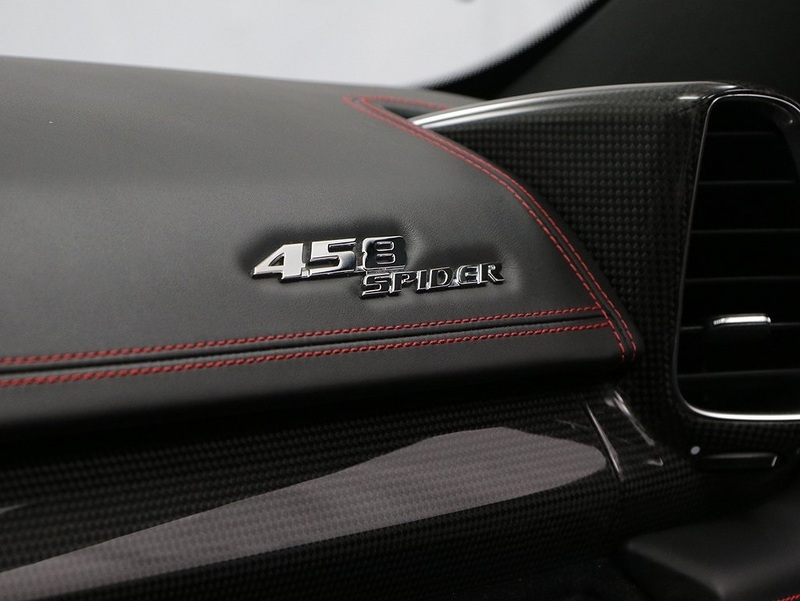 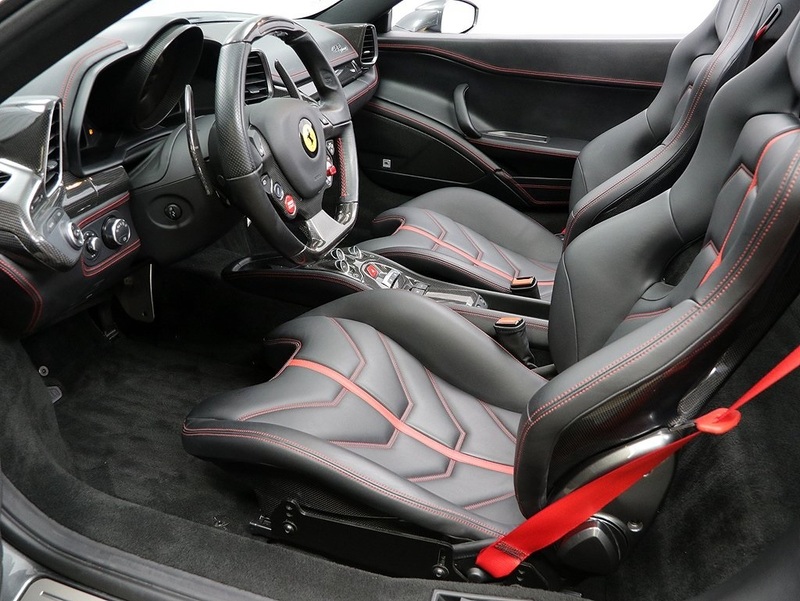 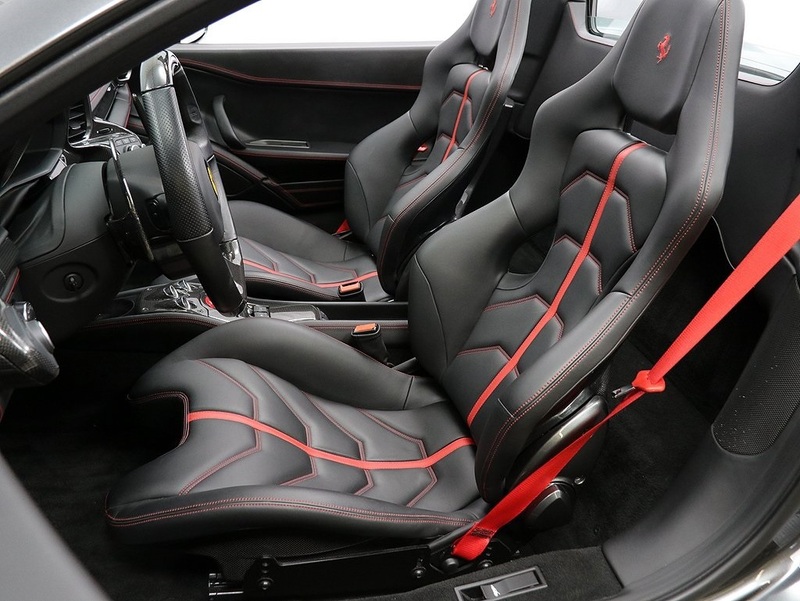 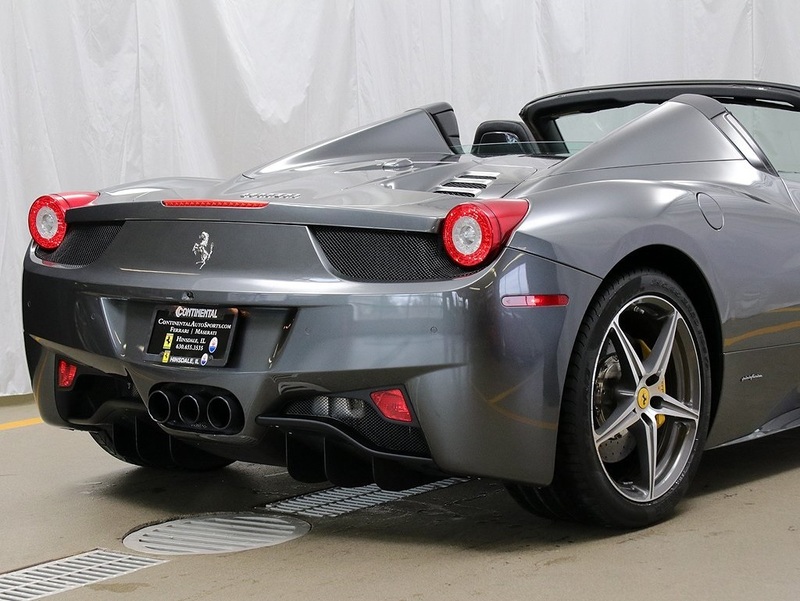 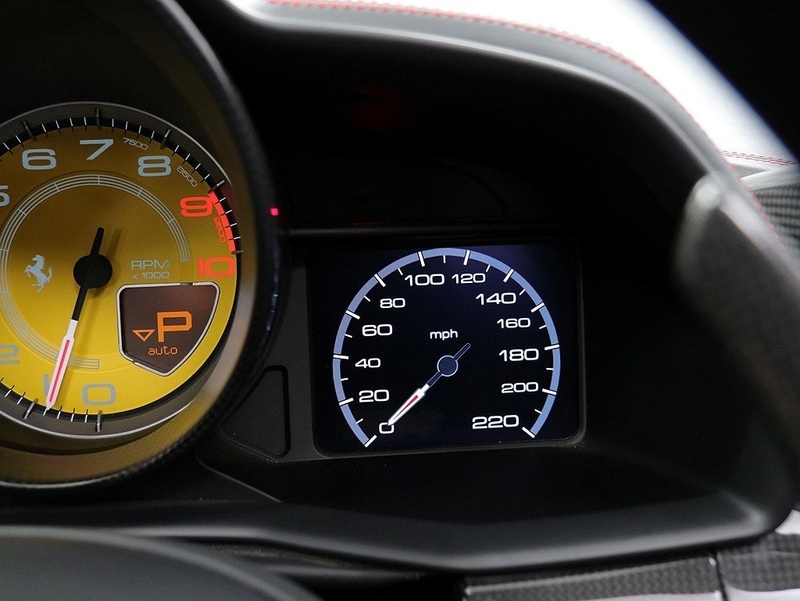 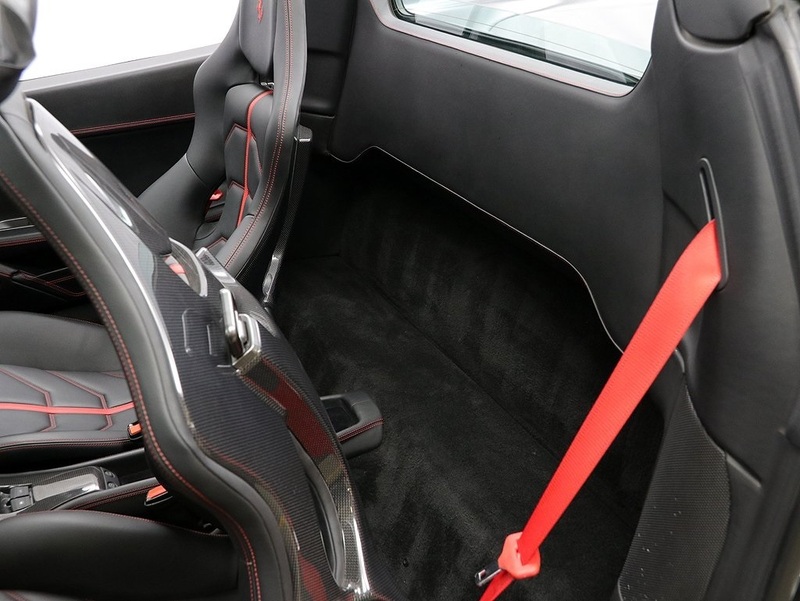 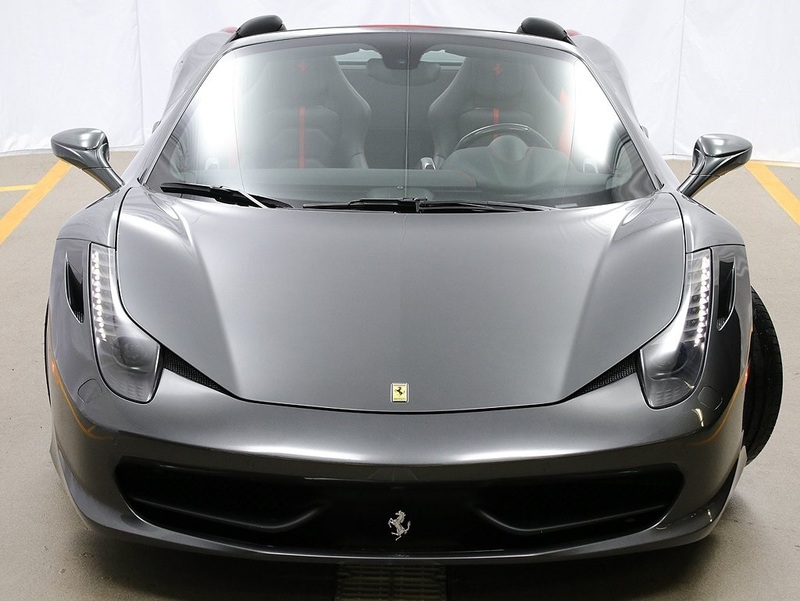 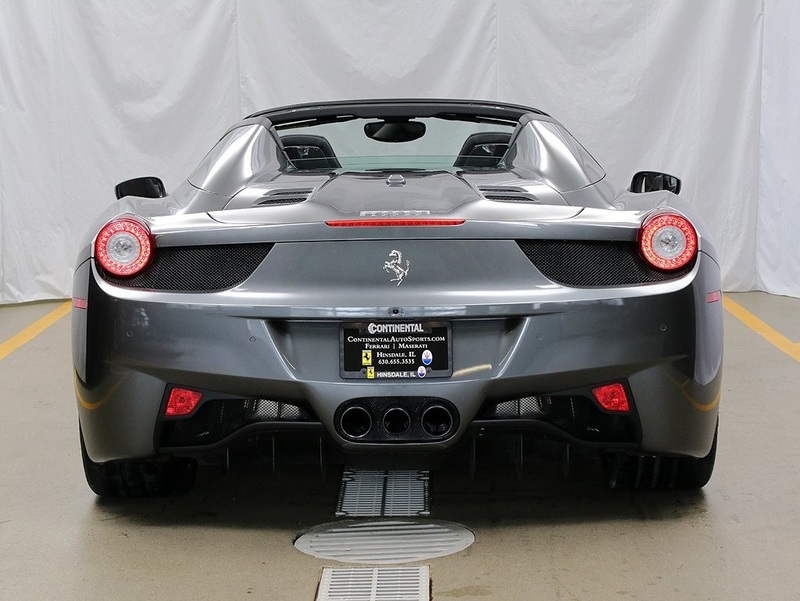 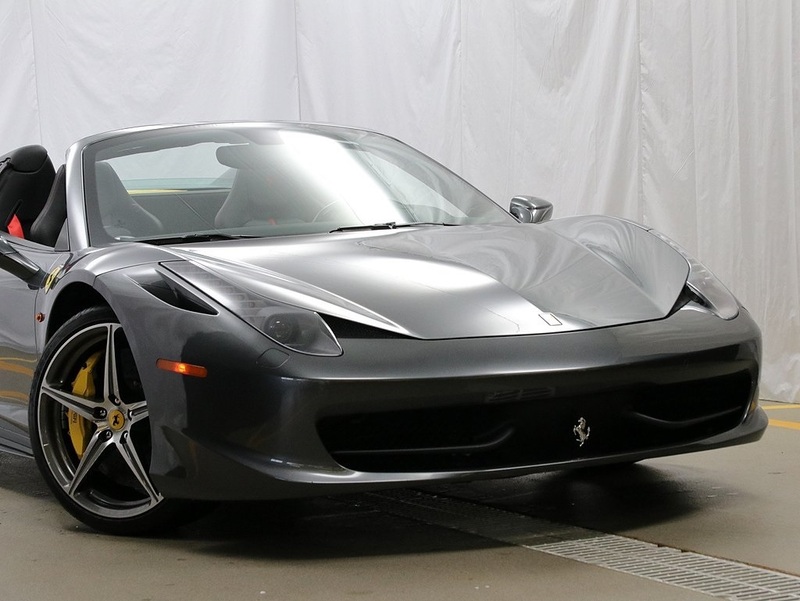 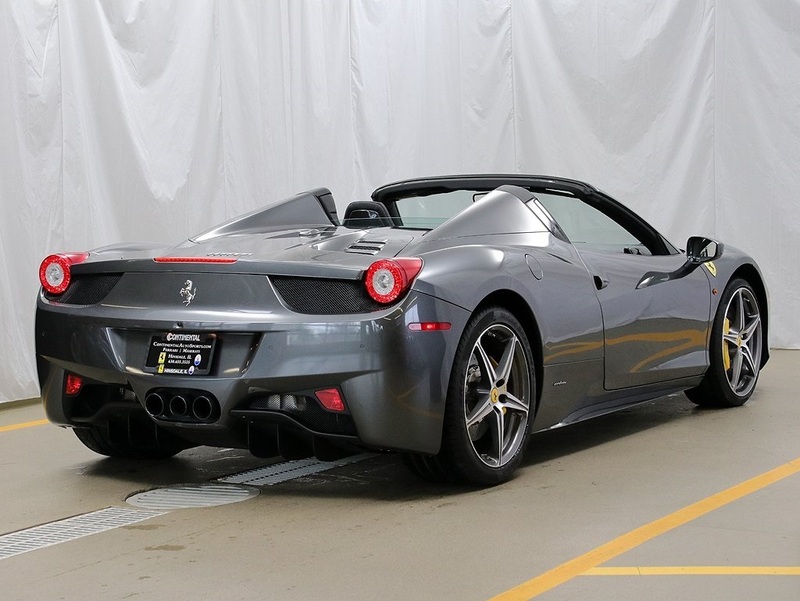 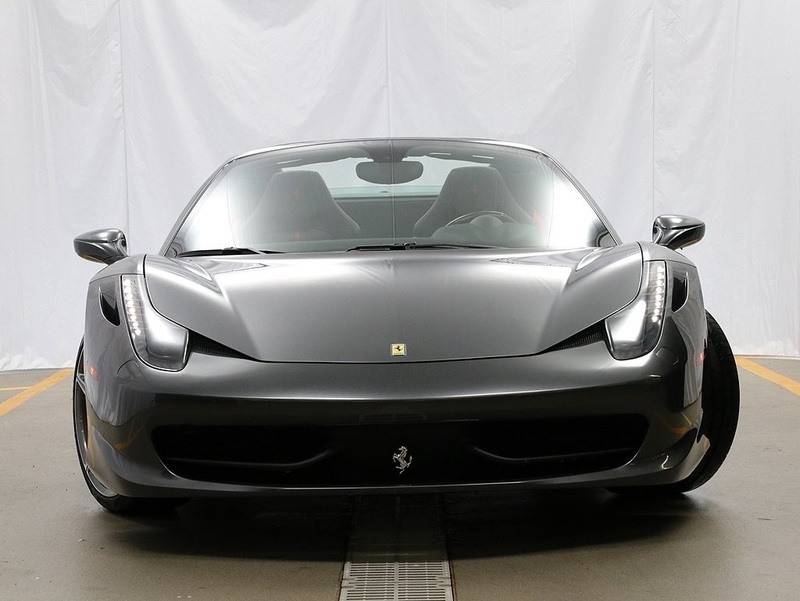 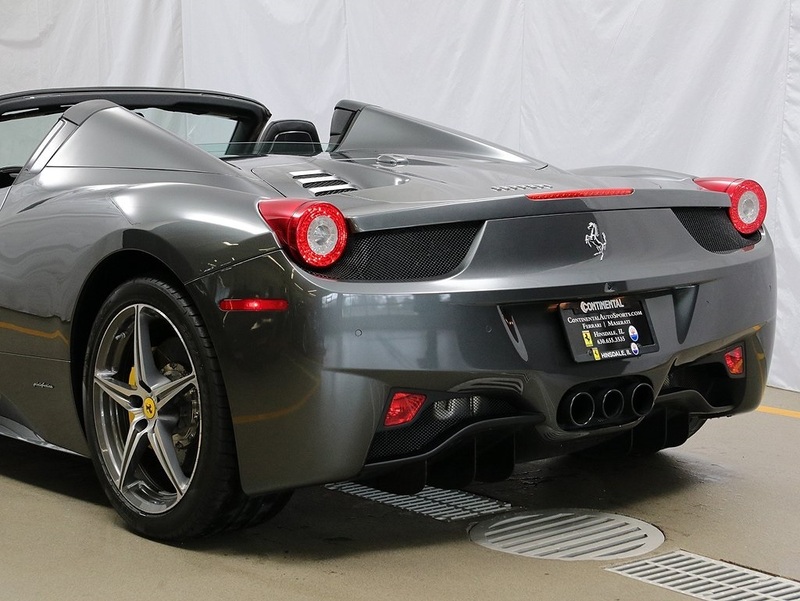 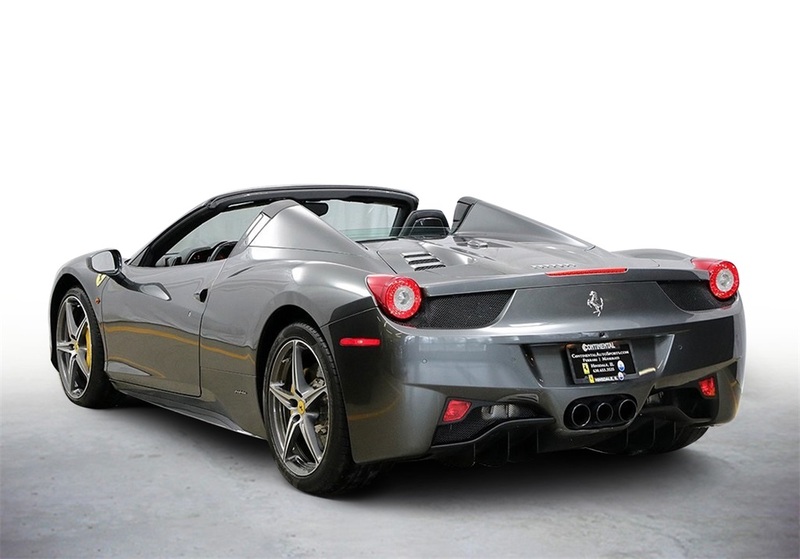 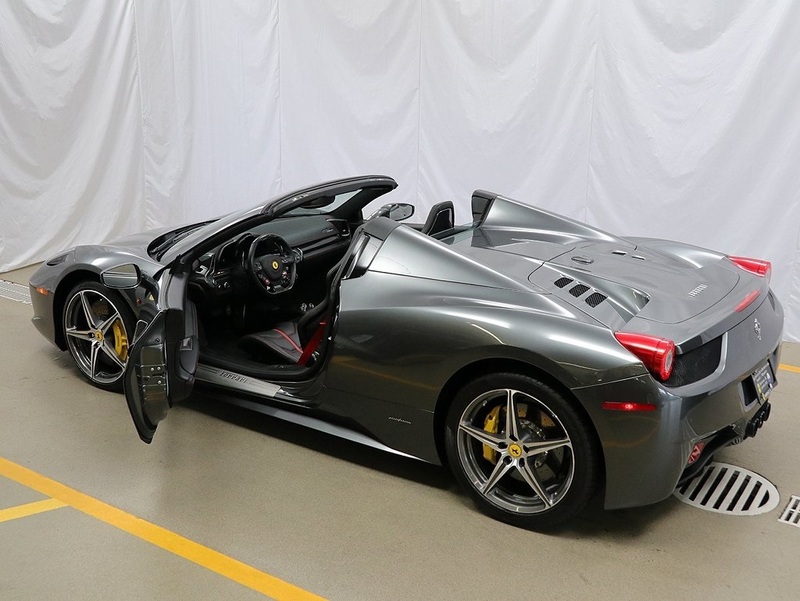 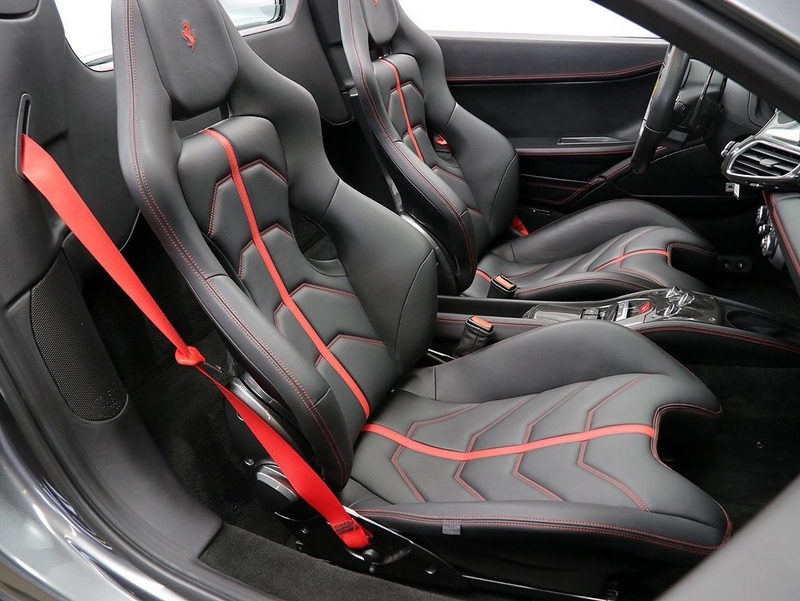 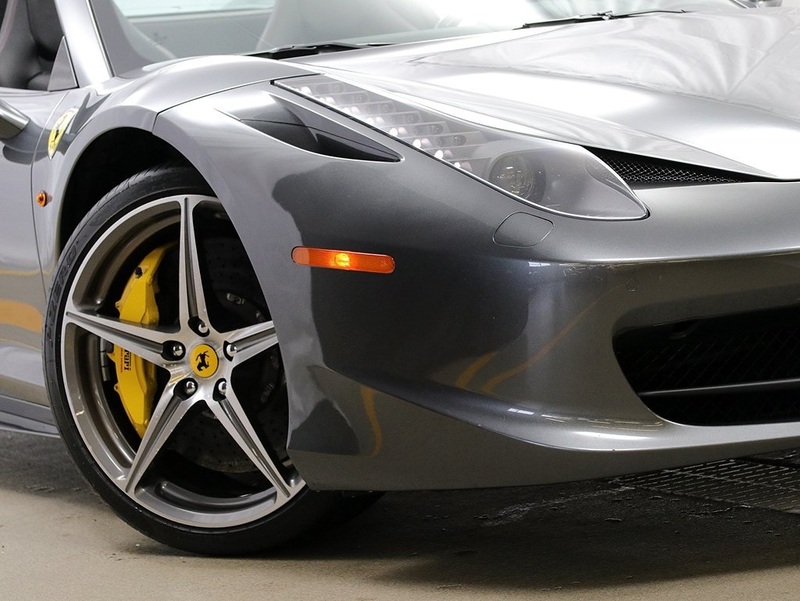 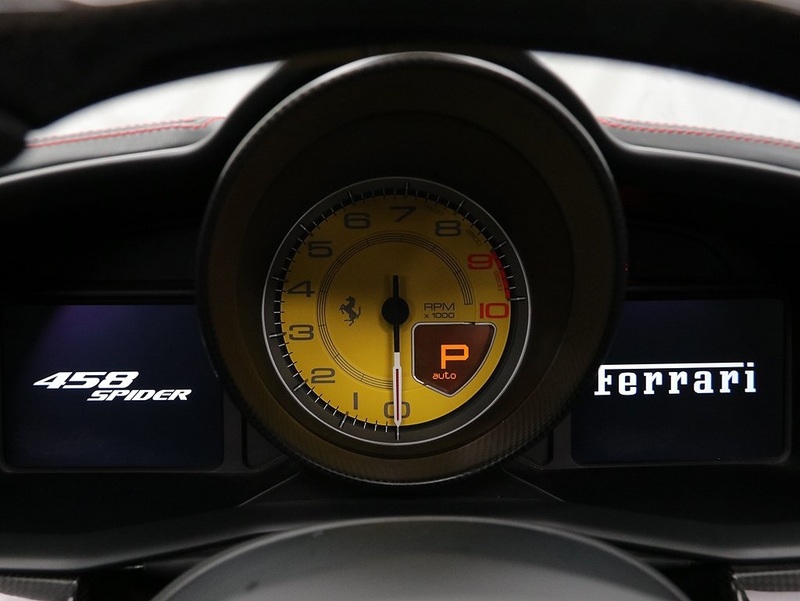 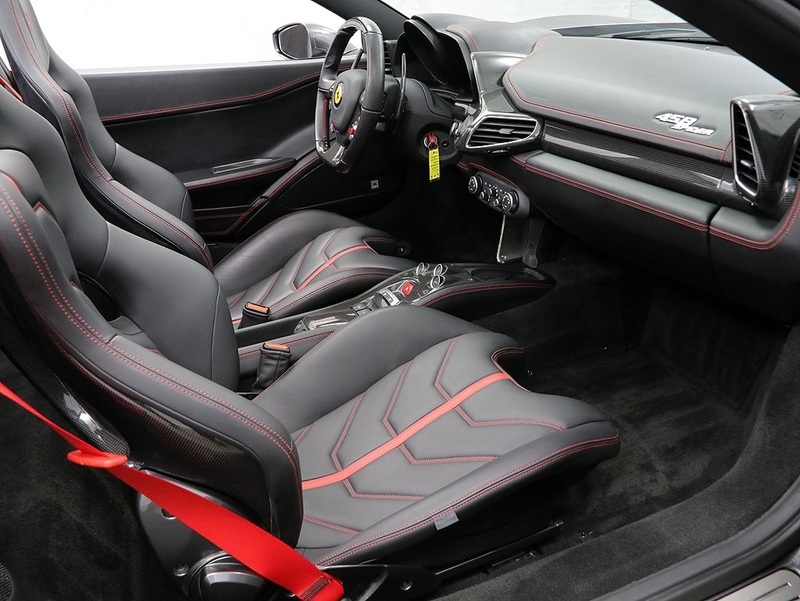 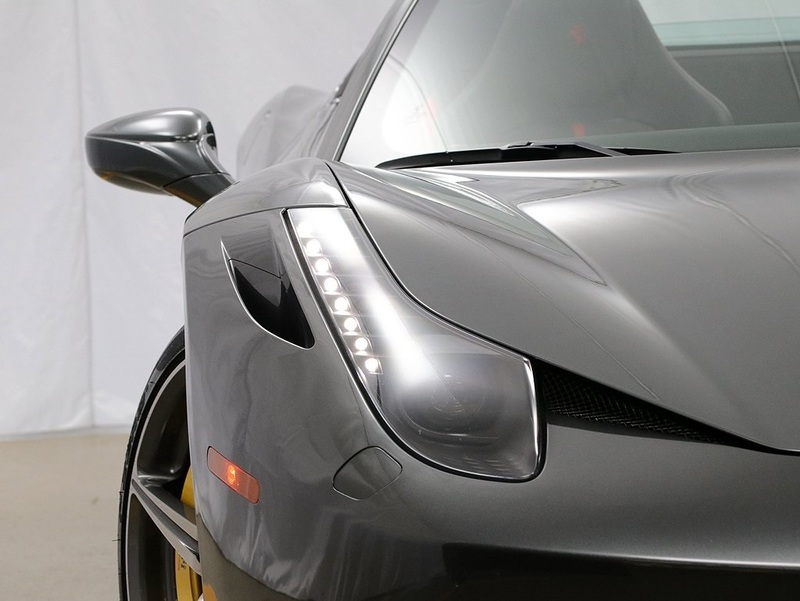 Call and speak to one of our Ferrari Ambassadors about owning this highly optioned 458 today!